Keller Thoma's Michigan labor attorneys have successfully negotiated thousands of collective bargaining agreements on behalf of employers. We have extensive experience in all phases of the collective bargaining process, including, among other things, contract analysis, strategy and tactics, and costing procedures, as well as successfully dealing with any labor disputes that may arise. Members of the firm have provided extensive training in collective bargaining for local, state and federal agencies and for local, state and national employer organizations. Our firm members regularly represent employers before the National Labor Relations Board in hearings concerning unfair labor practice charges, unit certification/clarification petitions, unit decertification petitions, and the myriad of other issues faced by employers. Our lawyers have extensive experience representing employers faced with union-organizing campaigns. This representation includes advice and administrative appearances in proceedings related to the campaigns. Each year, members of the firm successfully represent employers in hundreds of grievance arbitration matters. These grievance arbitration matters include the full range of grievances arising under collective bargaining agreements, from contract interpretation to discipline and discharge matters. This extensive experience has provided our attorneys with familiarity with all of the active arbitrators and insight into their arbitral decision-making. Members of the firm have also provided extensive training in grievance processing and grievance arbitration for local, state and national employer associations. 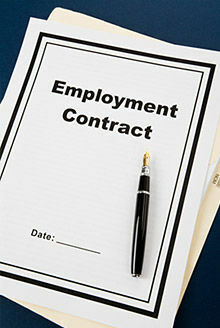 The firm provides advice and counseling regarding all aspects of the employer-union relationship. Our lawyers can also provide training to management on all kinds of topics, such as handling grievance processing, remaining union free, effective communication with employees, and how to provide employee reviews. Or ask us to tailor a training that specifically fits your needs! We welcome you to contact Keller Thoma if we may be of assistance to you in a labor matter. Based in Southfield, Michigan, we work with employers in the Detroit area, throughout the state of Michigan, and in other neighboring states.